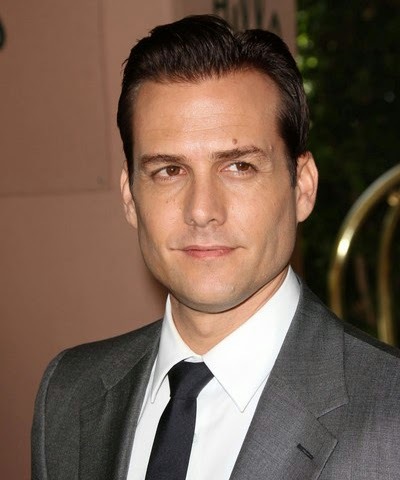 ‘Suits’ lead star Gabriel Macht is scheduled to arrive in Ormoc City to raise awareness and financial aid for survivors of Typhoon Haiyan. GABRIEL MACHT, popularly known as the distinguished law practitioner HARVEY SPECTER in the provocative television drama SUITS, is set to visit the Philippines on March 8, specifically in the typhoon-struck Ormoc in the province of Leyte. His visit is made possible by Globe Telecom, in fulfilling its commitment of building a wonderful and resilient Philippines through its Project Wonderful nation-building efforts by helping Typhoon Haiyan survivors in Ormoc City, Leyte. In partnership with the Department of Social Welfare and Development (DSWD), Globe has been granting business to beneficiaries identified by DSWD as part of its Sustainable Livelihood Program (SLP), a community-based capacity-building program that seeks to improve the socio-economic status of program participants. “We are committed to contribute to nation-building by providing relevant entrepreneurship and livelihood opportunities among typhoon Yolanda survivors in Ormoc City so they can rise again and move forward,” said Globe President and CEO Ernest Cu. “We hope that through this project, we will be able to teach them to manage sustainable micro-enterprises that will help them move from survival to self-efficiency,” he added. As part of its Project Wonderful program, Globe takes strides in rebuilding the nation with initiatives which will benefit schools, homes, and livelihood opportunities. Bringing global attention to its commitment to livelihood, Project Wonderful is hoping that through the support of a high- caliber actor such as Macht, more support will come in months to come. “Witnessing the devastation of typhoon Haiyan, I felt compelled to raise awareness and financial aid to help thousands of people still struggling to get back on their feet. There is so much work still to do. I'm excited to be a part of rebuilding and I'm hoping that so many more will join the effort,” Macht shared. Project Wonderful is a program that reinforces Globe Telecom’s commitment to subscribers, businesses, and the nation. Project Wonderful has three (3) pillars: Nation-building, which aims to build a wonderful and resilient country with programs that will rebuild homes and schools as well as provide livelihood opportunities to individuals and families in need, Culture-building, which shapes Globe to become a more customer-centric organization, fueled by a common passion to help and live a culture of service guided by its renewed mission, vision, and values, and Brand-building, which brings to life the telco’s passion and commitment to the customer as a strong challenger brand that leads the industry with innovative and relevant products and services.